The new BMW i3 (94 Ah) comes with a 33 kilowatt hour battery, although the size of the battery is the same as the previous one it provides more power, this model will be sold alongside the existing one. BMW i is expanding the model range of its compact electric car, the BMW i3 and from summer will be offering a version with significantly increased battery capacity. The BMW i3 (94 Ah) has a capacity of 33 kilowatt hours (kWh) thanks to the higher storage density of the lithium ion cells. The battery dimensions remain unchanged with over 50 per cent range increase in the standard NEDC cycle which equals 300 kilometres instead of 190 kilometres. Even in everyday use, in bad weather conditions and with the air conditioning or heating turned on, 200 kilometres of range can be achieved on one full battery charge. The driving performance figures of the 125 kW/170 hp hybrid synchronous electric motor remain virtually unchanged. 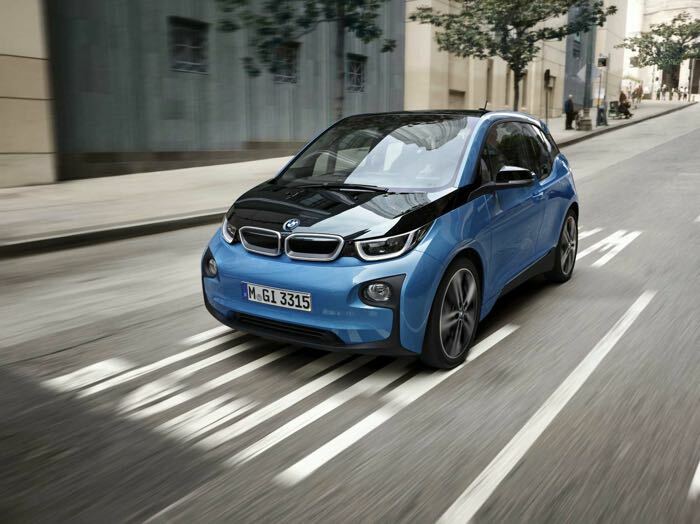 The motor propels the BMW i3 from 0 to 100 km/h in 7.3 seconds. You can find out more details about the new 94 Ah BMW i3 over at BMW at the link below, the car has the same power as the previous model.